Our stay at Flora Creek has been pleasant. Staff are all friendly especially the room cleaning staffs. It happened that one of the days we booked it was my boyfriends birthday and we came back to the hotel there were balloons, decoration, birthday cake and card for him. What a thoughtful team and we're so thankful for that surprise :) Hotel is very clean and price is so much worth it. Will definitely come back! Wonderful hotel apartment. 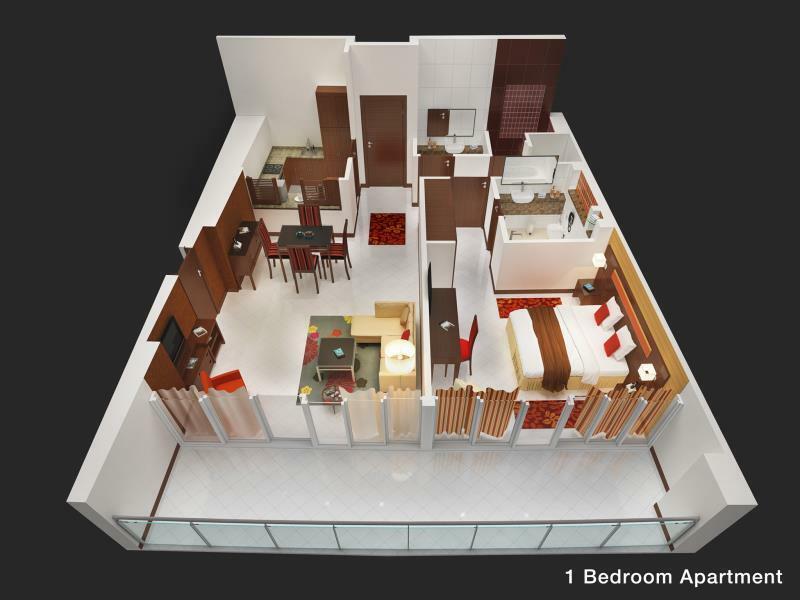 Besides the great location, flats are big, with huge balcony full of natural light and nice view. Staff friendly and well trained, and proper daily cleaning provided. Highly recommend it. Waiting too long for a check in. I requested that they fix their beds and place a proper King Size mattress, they only have single size mattress in all their rooms and they are joined together causing an uncomfortable sleep. I have asked them on numerous visits to address this issue. The room they presented me was filthy and had bad smells. The bed was of poor standard. I have been coming to this hotel for sometime and in the earlier days the standards were higher, there is an obvious change in Management the decline of service shows this. They certainly do not treat their long term guests well. I will be reviewing other Hotels to stay for my next visit. I really liked this hotel. 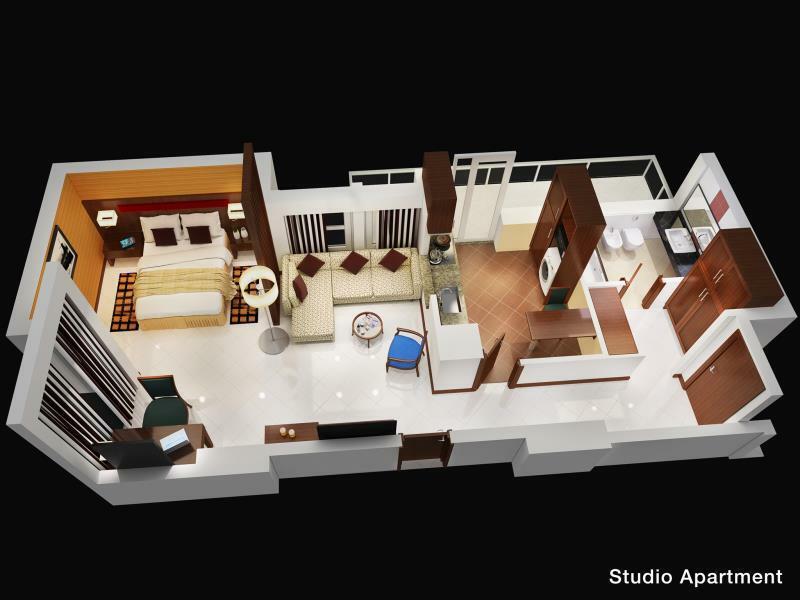 The suite is huge like a real home, with a full kitchen and 2 bathrooms! All come at a very reasonable price. The location is superb, very close to the airport, and near a huge shopping centre, plus the metro is right at the door step. I couldn't ask forma more better place to stay. The staffs are very good and helpful too, this hotel has more than exceeded my expectations. 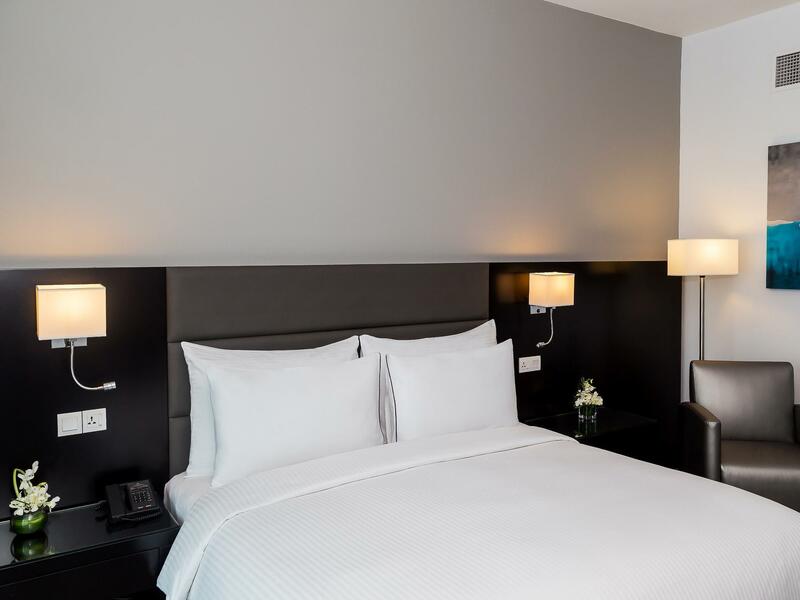 i always stay at FCD in Dubai, they dont do corporate deals, so i always book through agoda where i get the best deals. overall its a great hotel. rooms are big and clean, breakfast is good and it is available until 11am! deira city centre and the metro are right across the street. but the check in time is always a bit long! 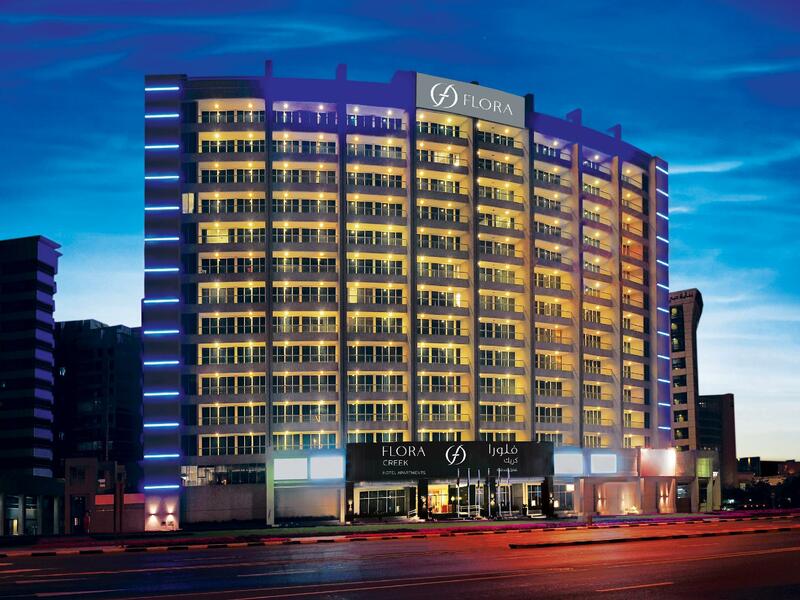 i always stay at FCD in Dubai, they dont do corporate deals, so i always book through agoda where i get the best deals. overall its a great hotel. rooms are big and clean, breakfast is good and it is available until 11am! deira city centre and the metro are right across the street. Welcomed NY 2015 here. Booked 1BR creek view apartment & got one on 6/F. Good view of Burj Khalifa fireworks from own balcony. Apartment was tastefully decorated w/ dark wood & hues of grays & greens. Spotlessly clean. Fully equipped kitchen w/ all needed to prep a full dinner. Had we stayed longer, would've used washing machine, ironing board, & clothesline. Living area had comfy couch & reading chair which we all enjoyed lounging on. TV units in living room & bedroom, but choices of channels were disappointing. Most programs were non-English; even Nat Geo was in Arabic. Don't think there was good English kiddie channel for my daughter. Very happy with wiFi. High speed for multiple devices. Husband (a gym enthusiast) was impressed w/ gym. Says place was fully equipped w/ almost everything needed for complete workout. Enjoyed indoor temperature-controlled pool. Twas a decent size &, thankfully, not overcrowded though hotel was fully booked. Good variety of items on bfast buffet. We enjoyed freshly cooked eggs, waffles w/ whipped cream & fruits, veal bacon, sautéd mushrooms, & turkey sausages. Had good selection of fresh juices, too. Best thing is consistent delivery of outstanding customer service. Arrived promptly 2PM with full knowledge there'd be a queue to check-in. Didn't wait very long 'cause Saif & Rochelle at Front Desk made sure we were attended to & regularly updated on progress. Manoj, bellman, was very cheerful, respectful, & sincere in providing us w/ assistance & answering inquiries. Rest of staff (incl. Divyesh - Housekeeping) were also equally approachable & accommodating. Overall, had a fantastic stay. Highly recommend for anyone visiting Dubai specially long term vacation. Great location near Deira Metro Station & City Centre. Would like to say that I'd book this hotel for New Year 2016, but it seems the building under construction across the street will block view of Burj Khalifa. Would stay here again, but perhaps not for NY. I am choosy kind of person and rarely get incited by hotel services. But this hotel was amazing; specially the staff were highly hospitable and always keeping a smile on face and ready to help. In Hotel Services including breakfast were out of this world. 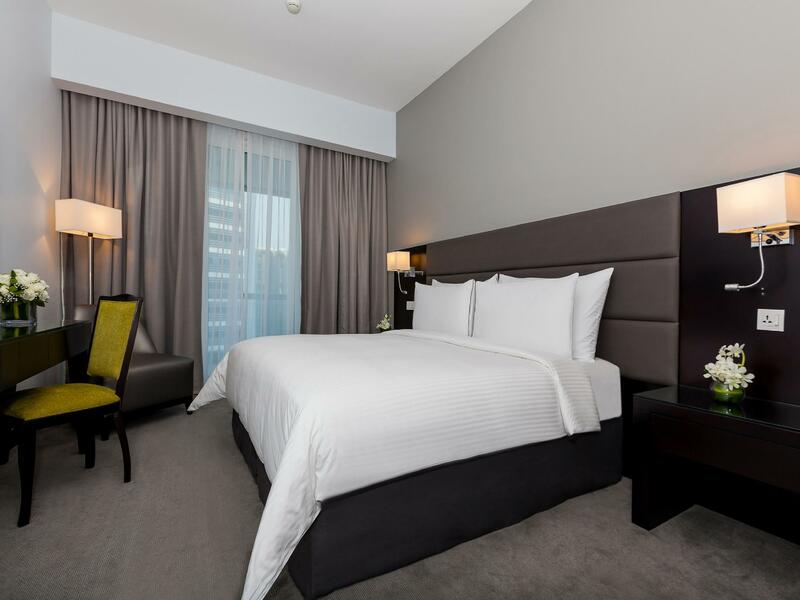 Rooms were very comfortable and surely recommend whosoever would like to travel Dubai irrespective of business or family vacation tour. 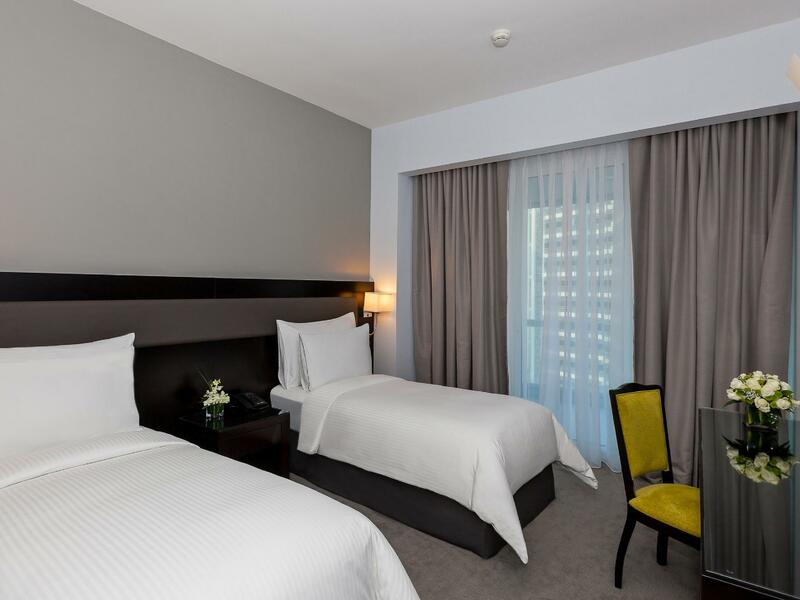 This Hotel is the Best of all within Deira City Center Vicinity. Hardly 2-3 minutes walk to Metro Station Terminal and nearby superstores if anybody wants to purchase juices, water bottles or milk bread etc etc. One night stay , because we were traveling the next morning. So far the location and the hotel was good. City Center Mall is a walking distance from the hotel , if you don’t mind walking ( you can take the passage of the metro to get to the mall. Staff were nice with a welcome drinks . أقامة لليلة واحدة بسبب رحلتي المبكرة من مطار دبي ، يقع مركز سيتي سنتر مسافة بسيطة من الفندق إذ يمكنكم أخذ ممر مترو دبي للوصول للمركز التجاري. كل شيء كان جيداً والعاملين فيه كانوا لطيفين لتقديم الترحيب للجميع بمشروبات باردة. lovely huge apartments. they are too stiff. my friend booked the Hotel for me with her card after taking part payment and they still insisted on her showing up for them to view the card before the balance payment would be authorized, and at the same time holding onto my $1700 cash payment. she had to come all the way from Abu Dhabi before they took the payment. I think this was an unnecessary bother because she had already sent her ID,filled the authorization form which the Hotel had sent to her. please we are in the new age, we need to be more innovative. not everyone is a fraudstar. most especially not one with 2 toddlers. สถานีรถไฟใต้ดิน Burj Khalifa - ระยะ 0.24 กม.